Salud y Bienestar En El Siglo 21 (Wellness In The 21st Century) – Miami Empresarial Magazine: The Business Pulse of South Florida. I am working in the field of health education. Currently, I am performing a health prevention workshop in collaboration with the Pinecrest Community Center of Florida,, titled “ Know Your Numbers” to motivate the Miami-Dade County families the power to fight by themselves the lifestyle diseases epidemic seriously affecting the whole US population, in particular, our African American and Spanish communities. I am a Miami Empresarial Magazine’ wellness advisor and I am pleased to submit the votes from my wife Lilia Ramirez, my daughter Lily Ramirez and myself with the names and pictures taken with our favorite artists. We were delighted to have had the wonderful opportunity to talk and admire the art work of the most distinguished artists of America. Certainly, the award “ Charlie Cinnamon People’s Choice Award” is an opportunity for visitors to the Coconut Art Festival, like us, to express our appreciation for their annual visit to Miami. https://vimeo.com/groups/418871/videos/182332369 – La revista Miami Empresarial le muestra contactos claves, perfiles corporativos y bancarios. 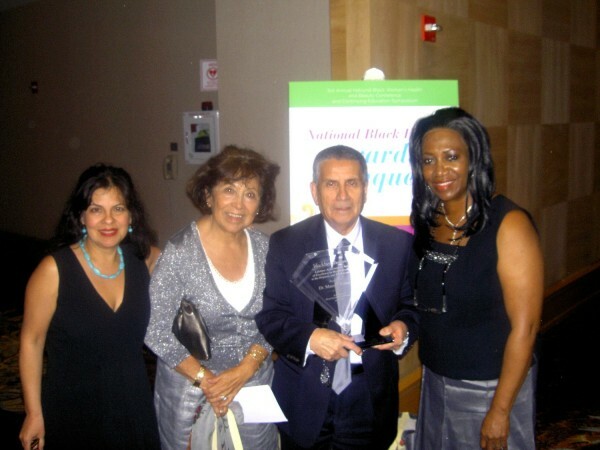 . .
Black Health Magazine and the emerging Latino Health Magazine recognized Dr. Manuel Ramírez as one of the 25 Most Influential Minority Physicians in South Florida and honored him with their coveted Lifetime Achievement Award. The ceremony took place at the publications’ 3rd Annual Awards Banquet, held recently at the Westin Diplomat Hotel in Hollywood, Florida. Manuel is a member of the National Alliance on Mental Illness (NAMI). He enrolled in an education course for families of love ones suffering with mental illness, (The Family-to-Family program sponsored by NAMI). Moreover, he became an advocate for improving the chaotic mental medical system, fighting against stigma of mental illness, for better recovery and rehabilitation programs. Manuel actively participated in the Congregational Health Alliance Ministry Program (CHAMP) in his local church and help develop such programs in other congregations. For many years he participates in community health fairs, integrating physical health with spirituality. In 2010 Manuel was elected Vice-President of NAMI of Miami. He worked in the development of the NAMI Faith Community Work Program on behalf of the frail elderly and the mentally ill residents of the Assisted Living Facilities. Dr Ramirez, celebrated this important Lifetime Achievement Award sorounded by family and friends at a gala at the Diplomat Hotel and Resort in Hollywood, Florida. Members of South Florida’s health care community, assisted living facility/nursing home owners and operators, patients and their caregivers recently attended the first in a series of free instructional seminars offered by a partnership between the Miami Chapter of the National Alliance for Mental Illness (NAMI), the LTC Ombudsman Program for Miami-Dade County and the Keys, and the Miami-Dade Public Library System, on the importance of Post Care Hospitalization Planning In Mental Illness. The event, held at the West Dade Regional Library, was sponsored by Senator Javier Souto, Miami-Dade commissioner representing District 10. In his opening remarks, Senator Souto expressed his support for programs that assist the ill and improve their quality of life. Although resources are now slim, he said that funding these programs is a virtual win-win situation since comprehensive preventive care —such as dietician-supervised nutrition with anti-obesity meal plans; increased mobility through daily exercises, physical therapy and activities on site or at Miami-Dade’s beautiful parks— reduces the incidence of hospitalization and ultimately cuts government expenditures. Joining Senator Souto were Teresa Mesa, an executive from the Miami-Dade Public Library System, Clare Caldwell, regional director for the Florida Ombudsman Council, James Osteen, executive director of Miami-Dade Broadband Coalition, Frank Johnson, director of Technology Solutions at WorkMagic, and other special guests joined dozens of attendees in the library’s ample conference hall for the initial seminar. “While the quality of care provided to patients after their release from the hospital is always vital to their full recovery, it is even more critical for those suffering from mental illness, especially those who may be incapable of caring for themselves,” explained Dr. Manuel A. Ramírez, FACP, NAMI Miami vice-president and the seminar’s co-organizer. He shared with the audience the reasons for the creation of the Task Force between NAMI of Miami and LTC Ombudsman Program: For 15 years he and wife Lilia, both certified Ombudsman volunteers, observed and reported the increasingly deficient levels of care afforded the mentally ill by psychiatric hospitals, ALFs and rehabilitation programs, resulting in more serious, chronic conditions or even death. The seminar, moderated by Arquímedes Trujillo, president of Conceptual Advertising, featured seven presentations which highlighted crucial aspects in the continued care that mentally ill patients receive upon their hospital discharge and as they return to their homes, assisted living facilities or other specialized care centers. Dr. Ramírez spoke about the consequences to the patient, caregivers and the health care system in the event of failure to provide adequate care and follow-through. It was not a coincidence that NAMI Miami president Judith Robinson chose to address the “importance of family education in understanding comprehensive medical care of chronic mental illness patients,” as she herself has been guardian and caregiver to a mentally ill relative for several decades. 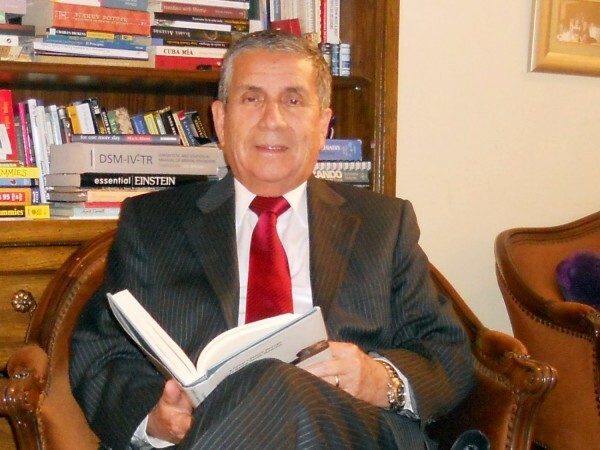 In his dissertation, prominent Miami neuropsychologist Dr. Jorge A. Herrera, FACP, dispelled the notion that mental retardation and schizophrenia cannot occur in the same patient and advised that a careful and deliberate diagnosis is imperative for the successful treatment of these conditions. He also extolled the value of the DSM-IV-TR as a document of international value, approved by the American Psychiatric Association, expert psychiatrists around the world and by the World Health Organization, for coding, billing and disease classification. It should be the basic guide for designing an easy-to-fill, universal format for daily clinical work and research purposes. Also on the medical front, Dr. Armando V. Rodríguez, FACP, gave his insights into how integrating mental health into primary care can help better treat patients, especially those with high risk mortality factors. He pointed out the lack of communication between doctors and psychiatrists is a critical difficulty that needs to be tackled. Dr. Rodríguez, who once tended to the health of inmates held at the Florida State Prison in Starke, identified several factors, like diabetes, that, if left unchecked, can and will trigger crises in the mentally ill. The swift, successful transfer of accurate and complete medical information, especially treatment/medication instructions, between the hospital, medical staff and patient or his/her caregivers is —as Henry Parra, president/CEO of Genesis Care Centers and president of the Assisted Living Member Association (ALMA), explained— instrumental in securing the patient’s adequate post hospitalization care and recovery. He emphasized that family members and/or personnel caring for the mentally ill patient at an assisted living facility, nursing home or specialized care center must demand said information and follow through to the hilt on treatment instructions. Attorney Mitchell Panter, principal at Panter, Panter & Sampedro, PA, brought to the seminar his unique perspective and expertise as a malpractice specialist who has represented cases in which there has been an unfortunate, yet tangible, failure in the patients’ care, resulting in great harm or even death. While he issued specific recommendations for those involved in the treatment and care of mentally ill —from physicians, hospital staff, families, relatives and ALF/nursing home operators—, Mr. Panter identified the maintenance and transfer of complete medical records as, perhaps the most critical element in the prevention of further injury, loss of life and the ensuing medical malpractice claims. After an animated round of “Ask The Experts” Q&A, attendees were invited to NAMI Miami’s second seminar, which will also be held at the West Dade Regional Library (9445 Coral Way in Miami) at 6:30 pm on August 25. For more information on the seminar series, please contact Dr. Manuel A. Ramírez at ramirez9460@bellsouth.net. Click here to read more about Florida’s Ombudsman Program or here to find out more about NAMI Miami. Contact arquimedes@miamiempresarial.net today for our complete media kit.